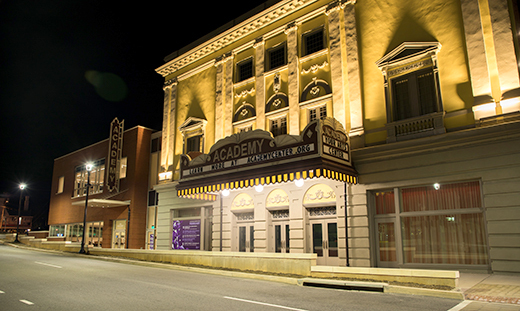 It was in the 1920s when the beloved multimedia sensation Will Rogers performed at the Academy of Music Theatre in Lynchburg during his nationwide tour. 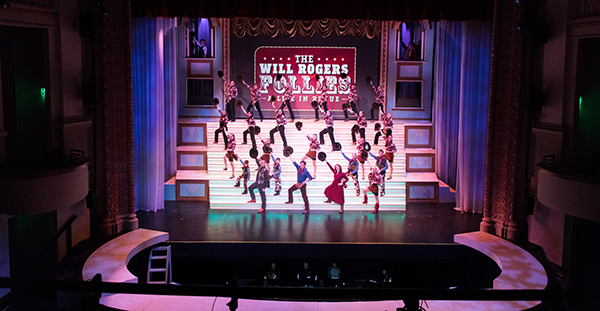 Nearly a century later, Liberty University’s own Alluvion Stage Company is preparing to perform “The Will Rogers Follies: A Life in Revue” on the same stage. The show, running Feb. 1-10 at the Historic Academy of Music Theatre, is the first full stage production to be performed in the theater since its recent renovation. Department of Theatre Arts Chair Linda Cooper, who directs the show, said that this production is a new style for the Alluvion Stage Company. 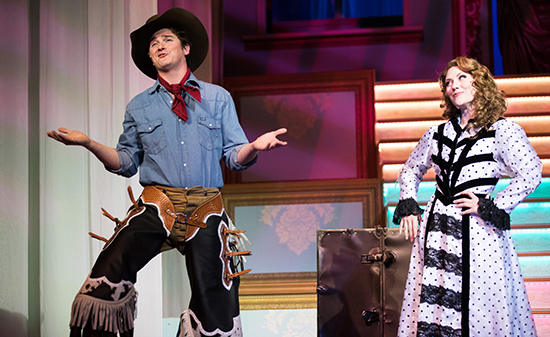 Audiences can expect a show filled with jazzy folk music, colorful costumes, and precision choreography. Cooper added that holding the production in the historic venue is an exciting opportunity — hopefully one that engages more family audiences outside of the Liberty community. The cast is led by Andy Geffken, associate professor of theatre arts, who said he enjoyed learning more about Rogers in order to portray him. 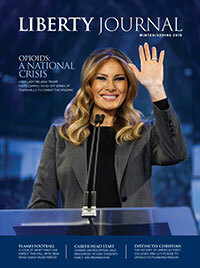 “The more quotes of his that I come across the more impressed I am by his ability to articulate wisdom in a way that makes us recognize how simple life can be when we embrace biblical truth,” he said. According to Cooper, Geffken fits the role perfectly. Alluvion Stage Company is a professional company that invites students to audition for its productions, providing them with the opportunity to perform alongside seasoned professionals, including some of their professors. “You spend all year coaching and directing others as performers, so getting an opportunity to do it yourself, right alongside your students, is a great gift,” Geffken said.